No dia 2 de abril, pelas 16 horas, decorre na sala Keynes um seminário no âmbito da Cátedra Jean Monnet. Juan Santos Vara da Universidad de Salamanca, é o convidado deste seminário onde abordará o tema The external dimension of EU migration policy in times of crisis. 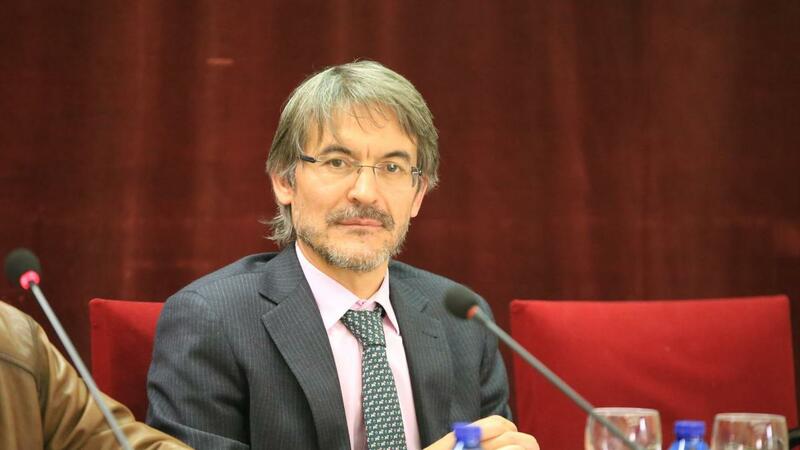 Associate Professor of Public International Law and European Law, Director of the Master in European Studies and Coordinator of the European Joint Master’s in Strategic Border Management at the University of Salamanca. He is PhD in Law by the University of Salamanca. He holds an LLM in European Law by the College of Europe and Master in European Studies by the University Carlos III of Madrid. Before joining the University he worked as a Lawyer in the Law firm “Cremades y Asociados” in Brussels. He has been Visiting fellow at the European University Institute (2010), Harvard School Law (2008), Watson Institute of International Studies of Brown University (2008), King’s College London (2007) and Centre for Advanced Studies and Research of the Hague Academy of International Law (2006 y 2004). As a result of his research activity, he has published more than forty articles in the last ten years in the most outstanding journals in European and International Law, among others: European Journal of Migration and Law, European Law Journal, Oxford Reports on International Law in Domestic Courts, Croatian Yearbook of European Law, Revista Española de Derecho Internacional, Revista de Derecho Comunitario Europeo, European Journal of Law Reform, Revista General de Derecho Europeo y European Foreign Affairs Review. He is one of the Editor of the European Papers has been the Editor of the Revista General de Derecho Europea from 2010 to 2015. His research is mainly focused on external relations of the EU and the Area of Freedom, Security and Justice. In the last ten years he has participated in nine research projects financed by national and international institutions, among which the project on International Law through the National Prism-ECRP VI – selected by the European Science Foundation (ESF) European Collaborative Research Project (ECRP) in Social Sciences – is of particular importance. He has been involved in the development of the European Joint Masters in Strategic Border Management under the auspicious of FRONTEX from 2013 to 2015. He was the Coordinator in Spain of the Oxford Reports on International Law in Domestic Courts (2008-2016). Visiting Professor at Aunción University, Paraguay (2014), Universidad Católica del Perú (2013), l’Institut d’Etudes Politiques, Grenoble (2011), Marburg University (2007), University College Dublin (2004), Bologna University (2006), Universidad Nacional de Colombia (2009) and Universidad Tecnológica de México (2006 y 2007).